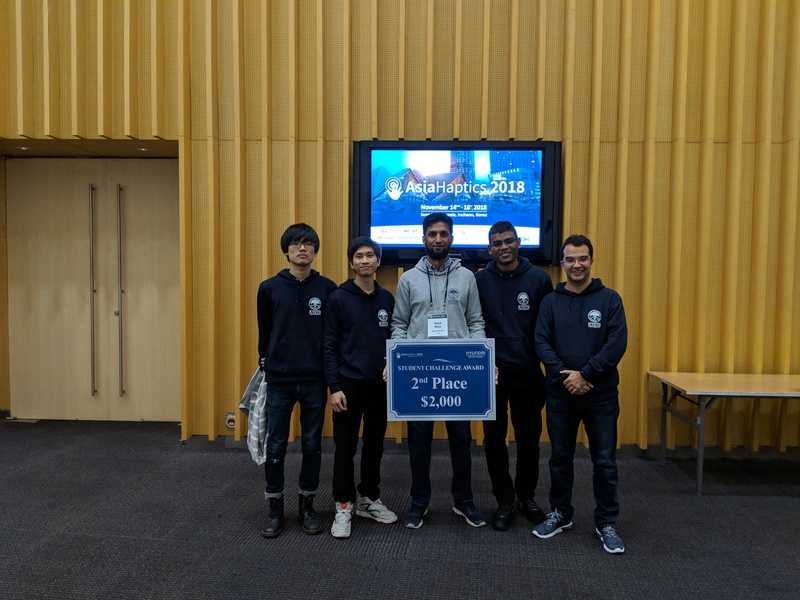 A team from our lab has won “2nd in place” prize in the “Student Challenge in Automotive Haptics." 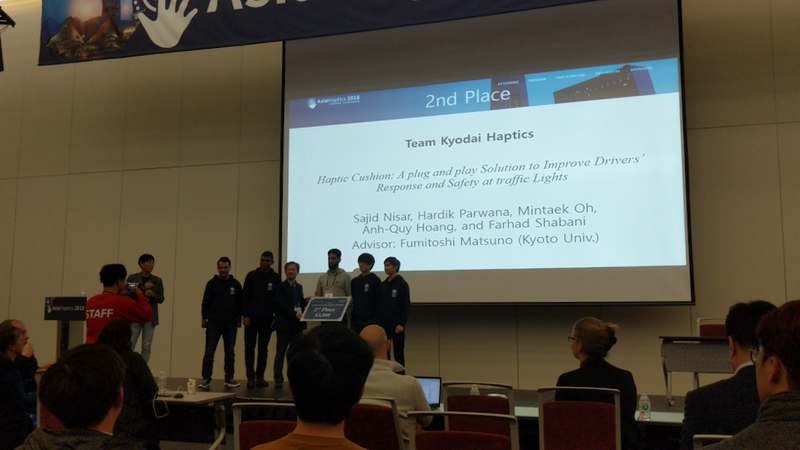 The challenge, sponsored by Hyundai Motor Group and Korea Robotics Society, was part of the international conference AsiaHaptics 2018, which took place from 14-16 November in Incheon, Republic of Korea. The theme of the challenge was to propose and develop innovative haptic solutions with potential applications in automobiles. Eight out of more than 20 proposals from around the world were selected and provided with a research grant for prototype development. The developed prototypes and live demos were then evaluated at the conference venue by renowned experts from academia and industry. Our team, Kyodai Haptics, had proposed and demonstrated a plug and play haptic cushion system to assist the driving, especially at traffic lights and road intersections. The proposed solution is first of its kind, and uses a combination of haptics and artificial intelligence (AI) to improve drivers' response time and safety at the traffic lights. Hyundai Motor Group has shown particular interest and have requested to share the technology with them for a potential future research collaboration. More information on the conference and student challenge can be accessed at http://asiahaptics.org.